What is a .free domain? .free is a generic top-level domain name that was initially pursued by Amazon in order to serve as a dedicated platform for the company’s online endeavors. Other companies that had pursued its acquisition include tech startup “Donuts,” Google via Charleston Road Registry and Uniregistry Corps. Why choose a .free domain extension? 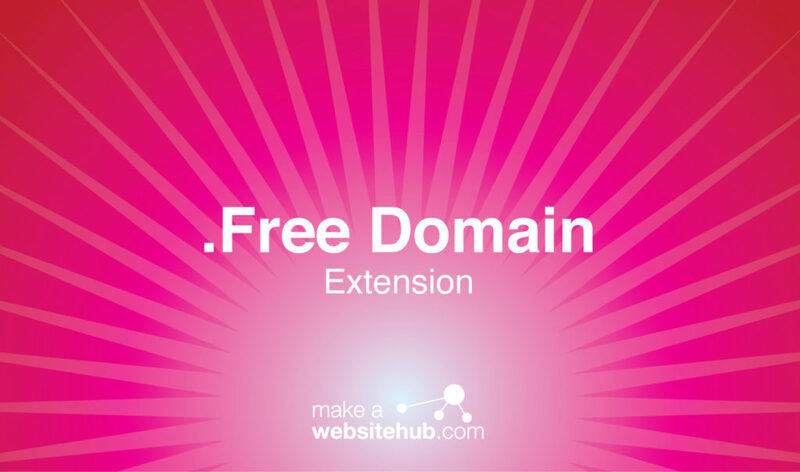 Given how open-ended the word “free” can be, .free domains are suitable for just about anyone or anything. Patriots, people with a free services page, advocates against wage slavery, just about any party with a vested interest in freedom or providing something without charging for it would be more than suitable in owning a .free domain. The list below consists of many examples of what a .free domain might look like. Considering how many new websites are created each day, it is certainly within the realm of possibility that at least some of these suggestions have already been acquired by parties in the know. As a subsection of an existing website. This suggestion would be exclusively viable to anyone who already happens to have a website. In this scenario, a .free domain could be used as a venue for anything and everything that the site provides for free. This would also benefit the accounting side of the website, as it could easily be discerned where transactions occurred between paid content and free content, allowing the owners to decide the future of their website with better information. “hands.free.” This site could be a destination for informing the public about which countries and states have laws regarding the use of devices while in transit, as well what the fines might be if a person is found to be violation of those laws. By a similar token, hands.free could be a vendor site that sells various peripherals and accessories to allow people to operate their cel phones while driving and still work within the confines of the laws in their country or state. “Iwanttobe.free.” A site like this could be focused on the music of Queen and Freddie Mercury, taken from Queen’s song “I Want to Break Free.” It could also easily be used by any sort of sobriety or anti-addiction site, offering advice or products that help people wean themselves off of alcohol, nicotine and so on. Or it could be a site similar to this would where you teach people how to free themselves of the daily 9 to 5 job and make their money online. “swim.free.” Such a site would likely be a fan site for “Free! Iwatobi Swim Club,” an animated series from Japan that focuses on the lives of several boys who all belong to Iwatobi High School’s swim team. “butter.free.” This site might direct traffic to a humor site that focused on anything and everything to do with “Butterfree,” the final form of the “Caterpie” line of Pokémon and the 12th entry in the “National Pokédex.” Such a site might detail how the win-loss ration of Ash’s Butterfree on the cartoon, merchandise of the monster, successful playthroughs of the various games that took a Butterfree to the final challenge and so on. “nothingfor.free.” This site’s name is taken from the proverb that nothing is truly free and such a site might serve as an umbrella site, revealing anything and everything that is being offered for free by a store or that is included by a vendor for free with various purchases. Subscribers could be notified of any new deals the moment the site posts about them. For example, the site might indicate one instance of free goods by revealing that a new pizza delivery chain intends to drum up business by providing a free order of breadsticks when the order comes from a new online account, while also sharing news of another offer where a jewelry chain offers free engraving and resizing of any ring purchased from any of its outlet stores. “toll.free.” This would be a help site that could inform users of ways to get necessities like a cellular phone, internet service and the like for free. In acknowledgment of programs that provide emergency-use phones to the homeless, such a site might also include links to programs that could lift the homeless and destitute out of their unfortunate living conditions. Alternately, this site could be a boon to long-distance drivers and highlight alternate routes that steer users away from toll roads and also explain by how much of a detour avoiding a given toll might be for the driver. The latter site would also inform users of what destinations are impossible or ungainly to pursue when looking to avoid toll roads. “cash.free” would serve users by listing various goods and services that can be acquired without spending money. Examples of the sort of content available on this site might include the following ideas:A gym that waives the monthly membership fee if an applicant has improved his level of fitness by a specific metric. A chain restaurant might award free food for a year to a metric of attendees for showing up on the opening day of a new location. The ad would also indicate the stipulations for such offers, such as “one meal per day.” A local amusement park might award one free admission ticket for every 25 pounds of recyclable cans indicated on a voucher from a recycling center. Where can you buy a .free domain name? Any party interested in purchasing a .free domain can do so at sites like OnlyDomains.com, Name.com and Enom.com.